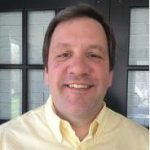 W ith a passion for mechanical design and 34 years of hands on industrial IT experience, Tim Kalenuik has become an thought leader in manufacturing IT systems. Tim’s resume features real world experience in steel production and fabrication, automotive manufacturing and hands on experience in aerospace fabrication. Tim brings a vast array of manufacturing and engineering knowledge to the world of IIOT. He has spent his last 22 years developing, deploying and managing IT systems proven to improve business and manufacturing processes alike. Currently working in the field of Industrial Internet of Things (IIOT) he is creating multi-tiered IIOT solutions for a large Consumer Packaged Goods manufacturer that will bring measurable cost savings.